Do you worry that your kids aren’t getting enough protein in their daily diet? Some days, it may seem that they eat nothing but fruit and pretzels, but chances are that your kids do actually consume enough protein. It is found in obvious foods such as meat, poultry and fish, but it is also available in eggs, beans, legumes, soy, nuts, nut butters, dairy and even grain products. If you’re still concerned that your children’s diet is lacking in protein, here are some quick ways to sneak protein into their school meals. Protein is a crucial nutrient for your children’s growth and development. Their daily protein requirements will vary depending on their age and weight. Children who are big for their age need slightly more, while children who are small can consume less. Even if your kids are hip on high-protein foods such as beef, poultry or seafood, you can still sneak protein into your children’s snack bags or lunchboxes to ensure they are getting enough. 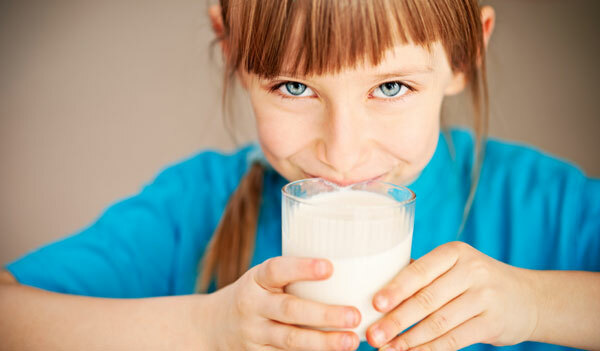 Milk, yogurt and cheese are delicious sources of protein that most kids love. Dairy also provides a tasty dose of bone-building calcium. Instead of juice, pack 8-ounce cartons of soy milk (6 grams of protein) or dairy milk (8 grams of protein). Add a small carton of plain yogurt (10 to 14 grams of protein) and fresh fruit for a snack or dessert. Layer a sandwich with a slice of cheese (7 grams of protein) or include a cheese stick (7 grams of protein) as a protein-rich nibble. Nuts and seeds are energy-dense sources of protein, healthy fats and fiber. Forgo the candy bar and fill a snack bag with 1 ounce of raw almonds (6 grams of protein) and a handful of raisins (4 grams of protein). Slather wheat bread (5 grams of protein per slice) with 2 ounces of peanut butter (7 grams of protein) and sliced bananas. Sprinkle 2 tablespoons of sunflower seeds (3 grams of protein) into a pasta or rice salad. Whole-wheat bread and pasta not only have more fiber than do foods made from refined flour varieties, but they often have more protein. For example, some whole-wheat breads have more than 5 grams of protein per slice, while whole-wheat pastas may have up to 10 grams of protein per single serving. Substitute whole-wheat or whole-grain products for the white-flour products in your kids’ lunches. Ditch the white rice and make grain salads with red or black quinoa (5 grams per serving), a colorful array of finely chopped vegetables or fruit and a light dressing. Looking for meat-free protein options? Check out this list of meatless complete proteins!